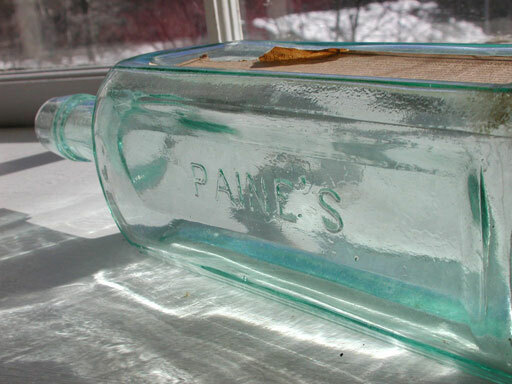 Description: Once in a Blue Moon an Aqua” Paines Celery Compound comes along. 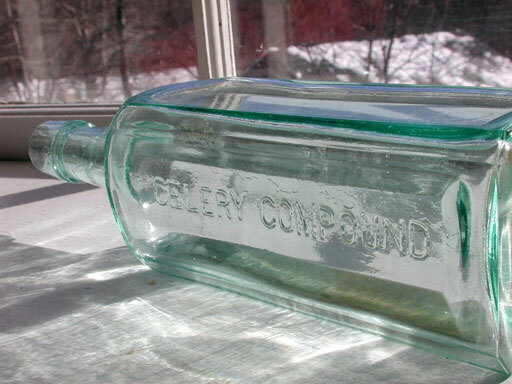 Milton K. Paine was a pharmacist as early as the 1840’s in Windsor, Vermont, but didn’t begin bottling the Celery Compound until the summer of 1882 (Bill & Betty Wilson 1971). 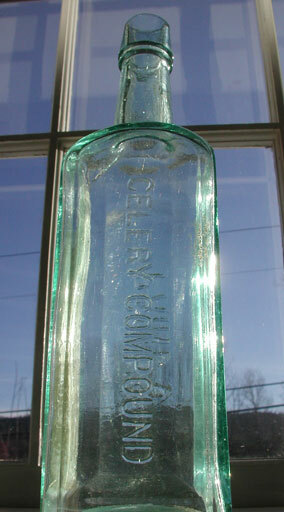 The Paines Celery Compound is very common in amber but very scarce in aqua. 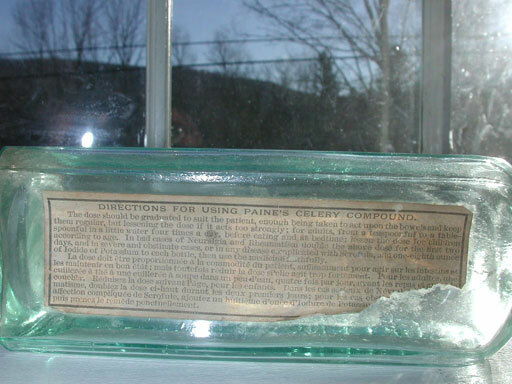 This is an excellent example of the Aqua Paines.